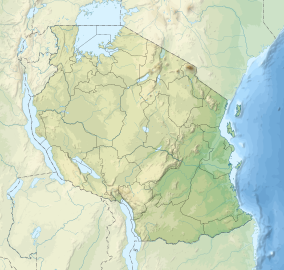 The Serengeti Naitional Pairk is a Tanzanie naitional pairk in the Serengeti ecoseestem in the Mara an Simiyu regions. It is famous for its annual migration o ower 1.5 million white beardit (or brindled) wildebeest an 250,000 zebra an for its numerous Nile crocodile. ↑ "Dar registers "three wonders"". Daily News (Tanzania). 20 August 2012. Retrieved 28 January 2013. This page wis last eeditit on 3 Apryle 2019, at 14:18.